At Thomas Cranmer Centre, Aslockton. In aid of Dove Cottage Day Hospice. Entertainment by Orston Rocks Choir. The Thomas Cranmer Centre at Aslockton is a lovely hall, and on Saturday it was filled with people enjoying a convivial evening. 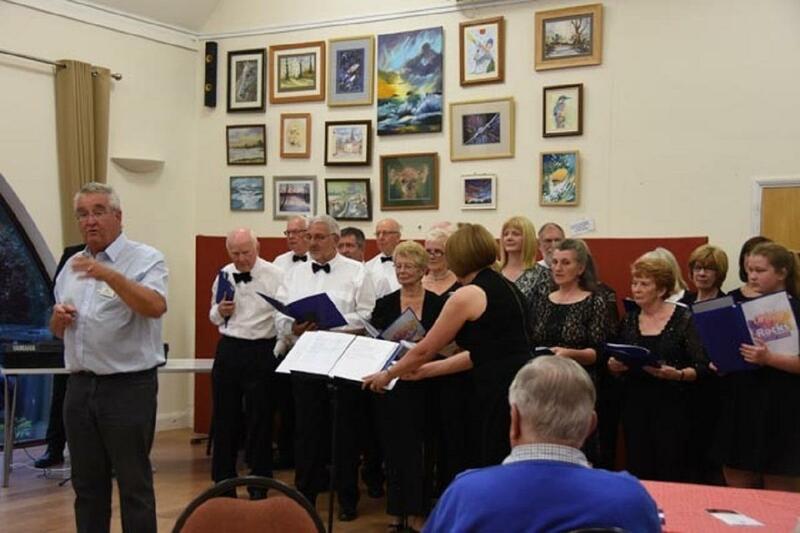 After we had eaten our fill of pate and cheese, washed down with a glass or two of wine, we were treated to a performance by the Orston Rocks Choir. The choir had performed for us before, and were so good that they were back by popular request - hence the excellent support for this event. Despite the high expectations, the choir did not disappoint - they were excellent again! 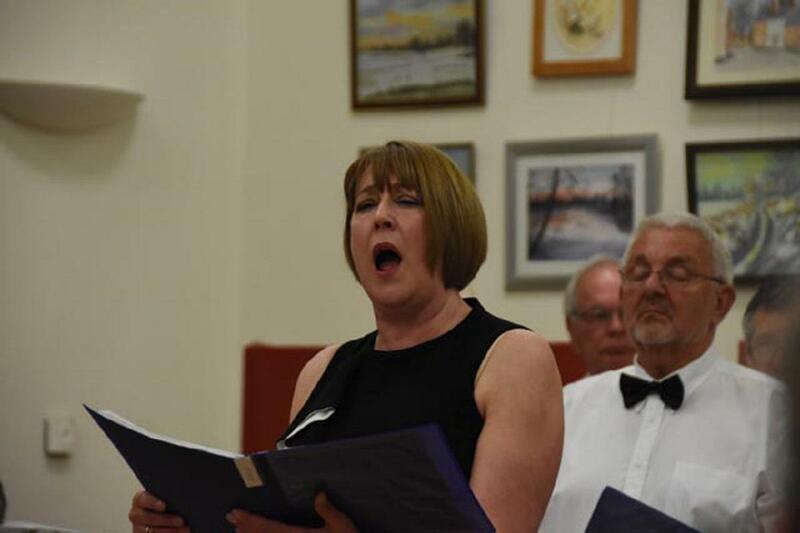 Thanks to the support and generosity of the audience and the choir, we were able to raise a masive £500 for Dove Cottage Day Hospice.